At a ceremony this morning in Knoxville, Tenn., Cirrus Aircraft co-founder and CEO Dale Klapmeier, Tennessee governor Bill Haslam and Economic and Community Development commissioner Randy Boyd announced plans to build a customer center for all Cirrus aircraft, including the single-engine Vision SF50 jet, at McGhee Tyson Airport. Cirrus quietly evaluated 30 airport locations in 15 states before choosing Knoxville. The facility “will create 170 jobs in the Knoxville area and represents a $15 million investment,” according to the Tennessee Department of Economic and Community Development. 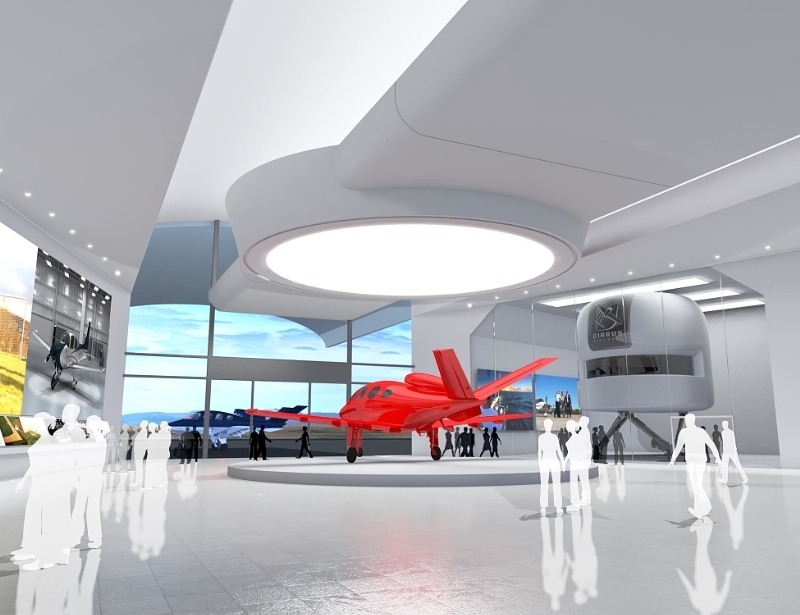 SF50 Vision jets will be manufactured at Cirrus’ headquarters in Duluth, Minn., then flown to the new “Vision Center” for final detail and delivery to customers. The Knoxville facility, “a flagship location for all Cirrus Aircraft pilot, owner and customer activities,” will include a design center where buyers can customize their SF50, a service center, sales and product support staff, an FBO and type-rating training in a level-D full-motion simulator built by CAE. It will also host company social events. The new facility will be completed in the second quarter of 2016, and Cirrus chief customer officer Todd Simmons will head the Vision Center. SF50 certification is planned by year-end. All aircraft production remains at Duluth, and Grand Forks, N.D., where structural components are produced. Vision N251CV was flown to Knoxville from Duluth yesterday for the event, and it made the 757-nm trip in 2 hours 41 minutes, flying at FL270 and a cruise groundspeed of nearly 300 knots.